Reference to traditional furniture form has long been a practice of Thos. Moser, and is true in the case of our Hancock Side Chair. Here, the vehicle is the ladder back, a form made popular by, and often associated with, the Shakers of the 18th and 19th centuries. So named after the Hancock Shaker Village, the chair offers a contemporary take on a historic furniture form. 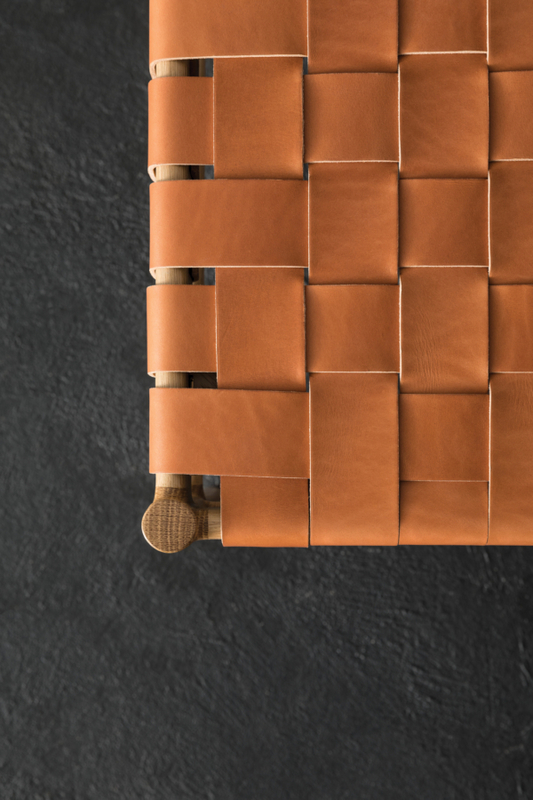 Upon close look, the Hancock Chair reveals its Moser pedigree, with Shaker tape or vegetable-tanned leather strapping forming the seat on an artfully joined frame – and the use of angled rear legs that rise to form a comfortably contoured back. As the Shakers embraced technology, our Hancock Dining Chairs uses the most advanced technology available in woodworking through the use of a 5-axis CNC. This technology is paired with traditional hand woodworking skills, to achieve both sophistication and durability, employing knowledge and craft to achieve the desired outcome. The commitment is to the object itself, and the quality thereof, regardless of its making process. Appropriate for a variety of environments, our Hancock Chairs are as much guest chairs as dining chairs and can be employed as a user sees fit. 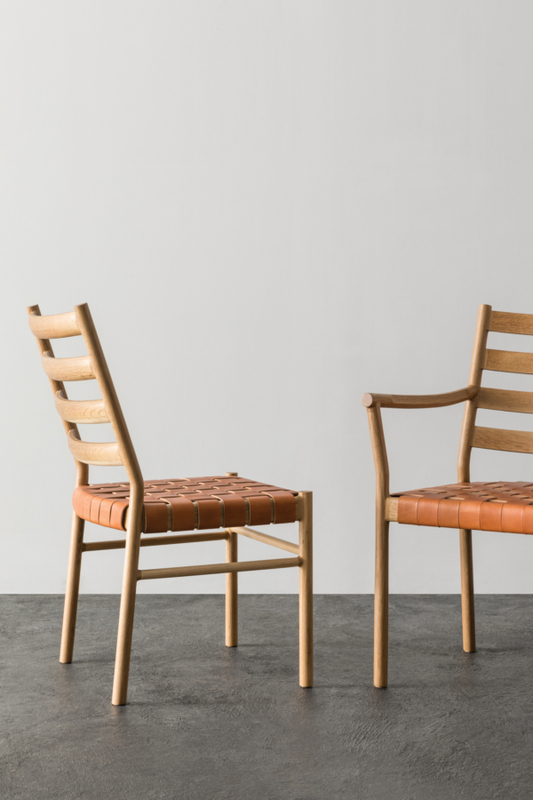 Hancock is available as both a Side Chair and an Arm Chair, with the latter connecting extended front legs to a gently curving arm that joins elegantly at the back. The Hancock Chair can be crafted from most solid American Hardwoods.